Black onyx is the most renowned variety of onyx, though not as common as onyx with colored bands within it. In its solid black form, onyx is the most traditional black gemstone – however, most black onyx has been artificially treated to obtain its pure black color and waxy luster. Onyx is a variety of the microcrystalline quartz, called chalcedony. The term “chalcedony” originates from Calcedon (or Calchedon), which was an ancient port on the Sea of Marmara in Asia Minor where onyx was once mined. Onyx was commonly used to form the bases and handles for gold objects, as well as for stone inset work. 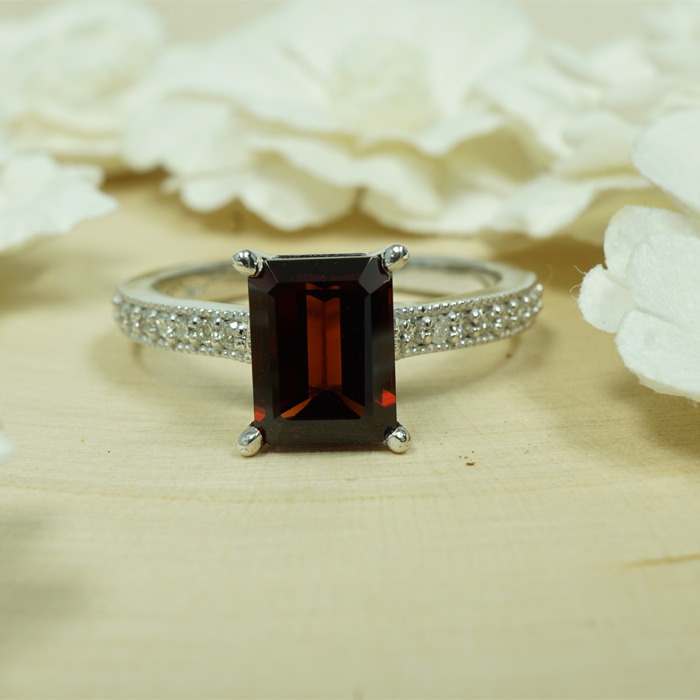 Throughout history, onyx gemstones have been dyed black for many reasons and traditions. It’s been used for stone carving and jewelry pieces, in which it is typically cut as a cabochon or into beads. It has also been used for intaglio and hard-stone cameo-engraved gems, where its bands create a drastic contrast between the image and its background. Dating back as early as the Second Dynasty, black onyx was utilized in Egypt to create pottery pieces, including plates and bowls. It is referenced in the Bible several times, including in Genesis 2:12, where it reads, "and the gold of that land is good: there is bdellium and the onyx stone." It was also used by the ancient Greeks and Romans. The Romans, in particular, used it for courage, as it was thought to be useful when defending oneself against partial criticism. They used it to carve different seal patterns and cameo brooches. In his Naturalis Historia – one of the earliest encyclopedias published between A.D. 77 ­– 79, first-century naturalist Pliny the Elder explained both types of onyx and many artificial treatment practices. Large blocks of black onyx, which was originally sourced from the Atlas Mountains, were used by Mies van der Rohe in Villa Tugendhat at Brno (completed in 1930) to craft an iridescent semi-translucent interior partition. Black onyx is a banded variety of chalcedony, which forms in the vesicles of lava. It is cryptocrystalline, comprising of fine intergrowths of the silica minerals quartz and moganite. Its formula is SiO2 (silicon dioxide) and has a 6 – 7 rating on the Mohs scale of mineral hardness. Its crystal system is trigonal and monoclinic, with a formula mass of 60 grams per molecule. Some black onyx is natural, but many stones consist of stained agate. A lot of black onyx is actually gray chalcedony that has been chemically treated to transform its color into a rich, deep black. In its gray form, the stone can be saturated in a solution of cobalt chlorate and chlorammonium, or it can be submerged for an extended period of time in a sugar solution, then warmed in sulphuric acid to carbonize the sugar.